Need to brighten your day or light up your night? We can help! 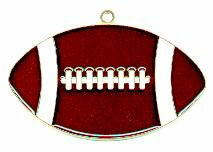 All our suncatchers are made from lead-free, brass-plated metal and filled with a high-quality acrylic. Each is designed to take advantage of available light for the best effect. Each is supplied with a suction cup for hanging in a window. 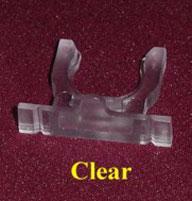 We take one of our suncatchers, attach a clip, and mount it on one of our sockets. We recently acquired sockets that turn on with a switch, turn on and off automatically, or swivel to accomodate outlets that are not oriented in the standard position. These sockets will accept up to a 7 watt bulb. The upgrade to seven watts means that you are no longer limited to clear, white, pink or blue in bulb colors. Now, you can get most any color to give your night light that "special" glow. 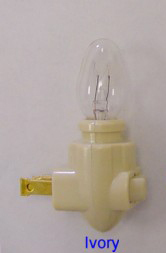 We still ship with a clear bulb but other colors are readily available everywhere. You can look at our products, check prices, and see shipping charges without having to log in. We have over three hundred items in stock! 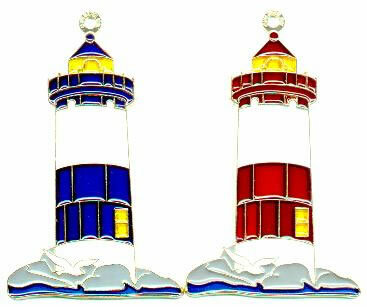 With color options and the fact that most sun catchers are also available as night lights, key chains or clocks, we have some twelve hundred combinations! Take a look at each one. We know you'll find something that fits your needs. Where can you see our products in person? We sell at many events around Texas. Our next event will be the San Antonio Stock Show and Rodeo, February 8-25, 2018. We're on the Freeman upper concourse on the AT&T side of the building at booth RC-11.